Do you love a fabulous vacation on the beach? Well, who doesn’t? But you know the outcome of this fun and frolicking out in the sun – a tan! Yes, despite lathering oodles of sunblock and lotions on your skin, it tends to darken from the sunrays. No matter how much you cover your face, you nevertheless end up a shade darker by the end of the day. Numerous efforts but the wrath of the sun is hard to escape. 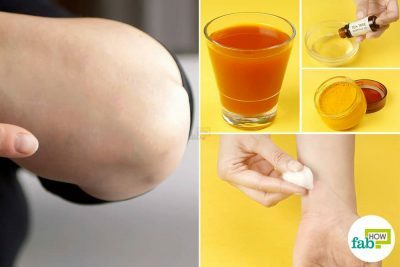 However, you need not worry as we have some simple home remedies you can use to remove sun tan from your face and body. Developing a sun tan is simply your skin’s mechanism of protecting itself from the harmful rays of the sun. 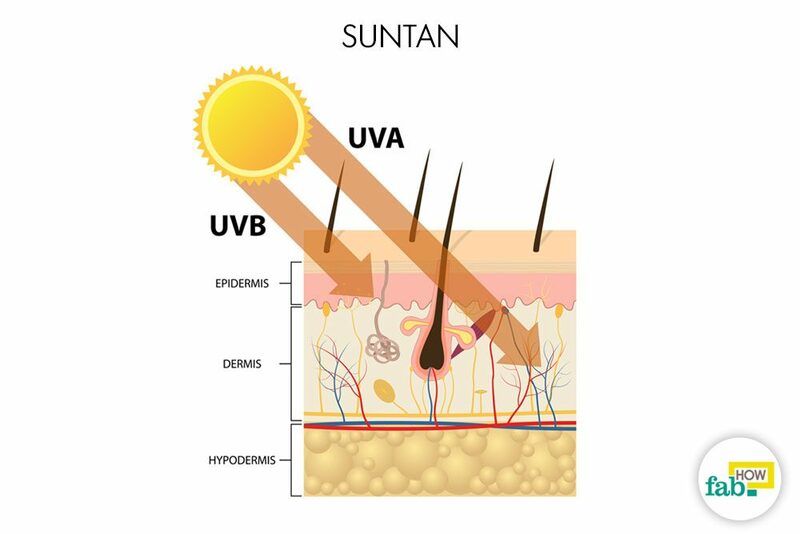 When your skin is exposed to the sun for a long period of time, it increases the production of melanin to form a coating over the skin and thus prevent further damage. This situation is more prominent in cold climates like that in the U.S., where people’s skin tone is usually white. The damage from excessive sun exposure also poses a risk of skin cancer later in life. While avoiding a suntan is definitely impossible, removing sun tan from your body isn’t that big of a deal! Just some simple home remedies and you can get back your white and shining skin quickly. Here are some easy methods to help you get rid of a sun tan fast at home. Lemons have natural cleansing and bleaching effects that help lighten the color of your skin. They help exfoliate dead and damaged skin cells, thus whitening your skin. Sugar is another excellent cleanser that helps with proper exfoliation of your skin. 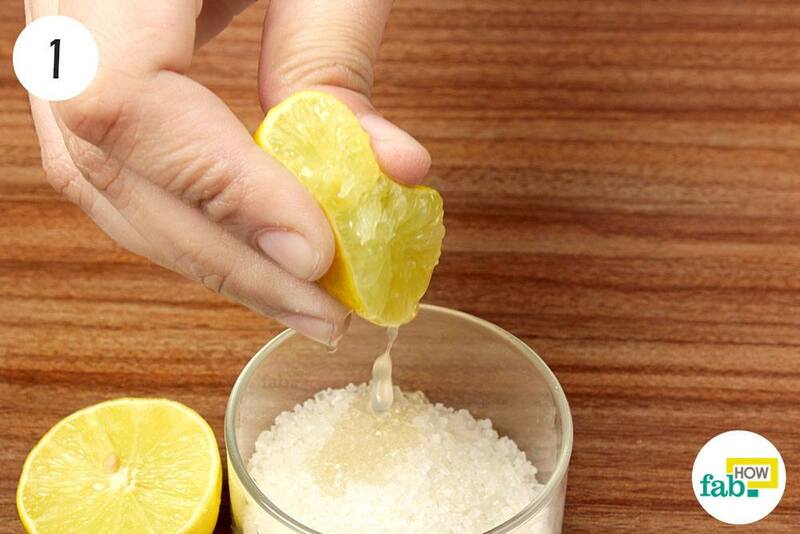 Squeeze the juice of 1 lemon into 1 tablespoon of sugar. 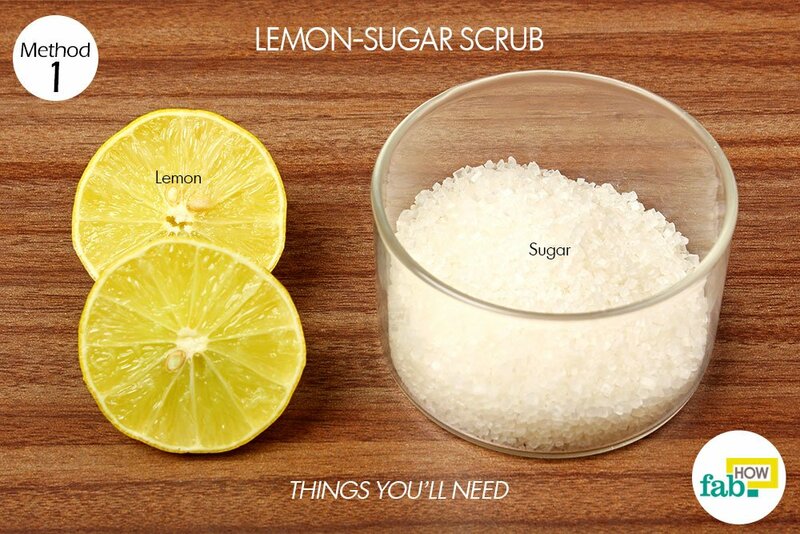 Mix the ingredients to form a scrub. Apply the scrub over your tanned skin. Scrub gently in circular motions for 4 to 5 minutes, then leave it to dry for 10 minutes. Wash it off using lukewarm water and pat dry your skin. 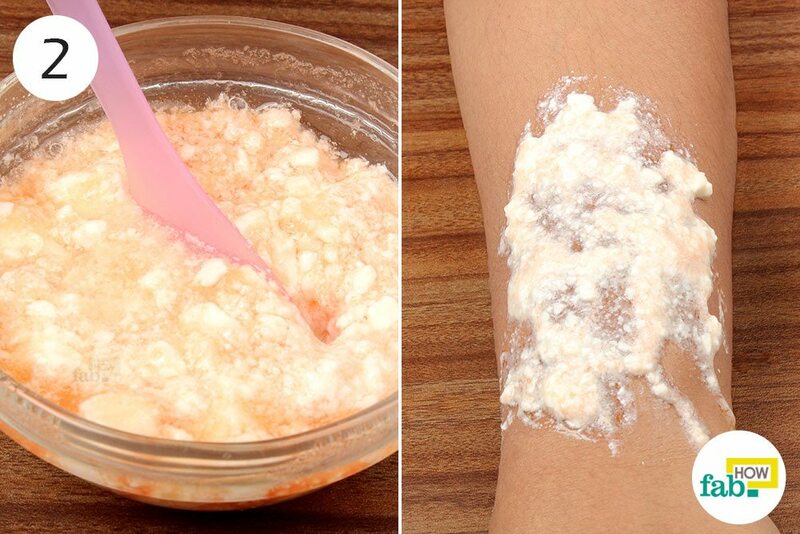 Use this treatment 2-3 times a week to get rid of tanned skin. Gram flour acts as an incredible exfoliator for the skin and helps remove the dead skin cells, thus lightening your skin tone. Yogurt has a mild bleaching property (owing to its lactic acid content) that helps lighten and soften your skin. 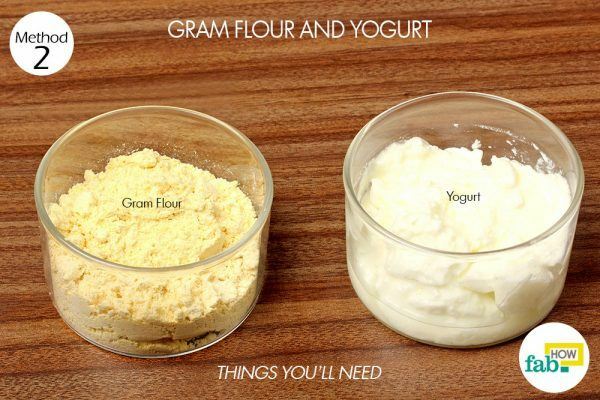 Put 2 tablespoons of gram flour in a bowl. Add an equal amount of plain yogurt. Mix the ingredients to form a paste. Apply the paste evenly over your tanned skin. Leave it to dry for 15 minutes. Once it dries, gently massage and rinse it off and pat dry your skin. Use the treatment once every day for effective results. Tomato and yogurt work as an excellent combination to lighten pigmentation and clear up the skin. Tomato juice works as a natural toner to shrink the pores and reduce oiliness of the skin. Yogurt, on the other hand, contains lactic acid that acts as a natural bleach and also helps nourish and moisturize the skin. 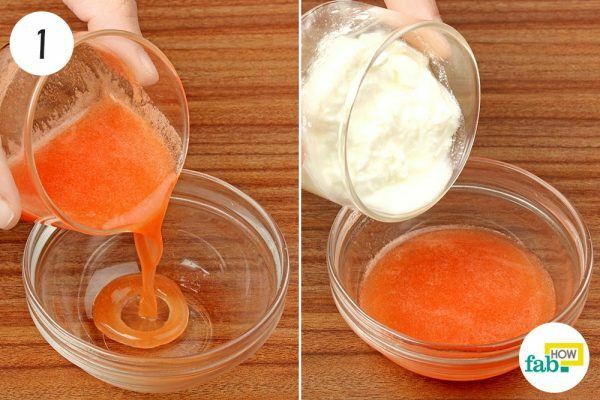 Extract the juice of 1 tomato and pour it into a bowl. 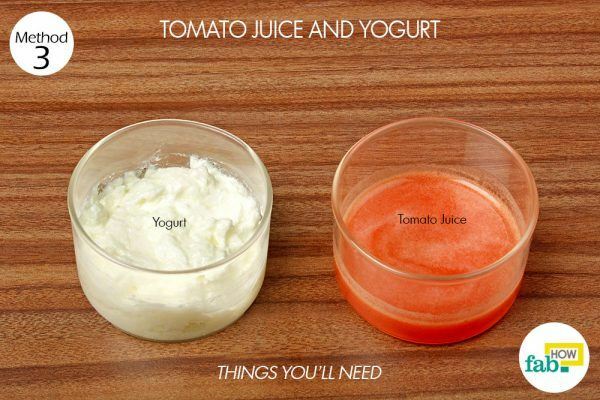 Add 1 tablespoon of plain yogurt to the tomato juice. 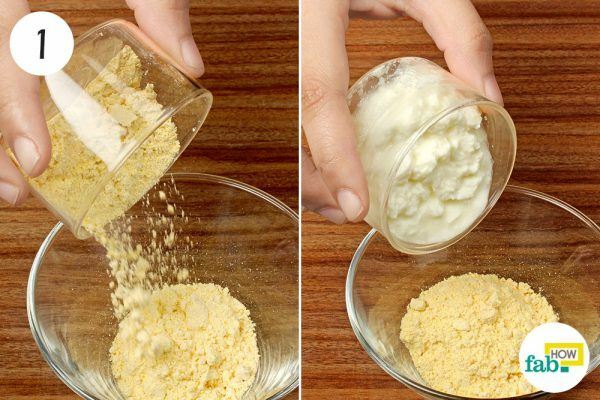 Mix the ingredients together to form a smooth paste. Apply the mixture directly over your suntanned areas. Allow it to dry for 15 minutes before washing it off with lukewarm water. Repeat the treatment once every day for excellent results. 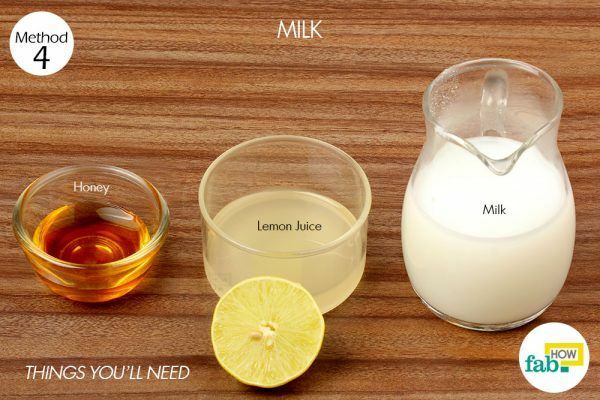 Milk helps moisturize the skin and lighten the effects of a suntan. Lemon acts as a natural bleaching agent and honey is an excellent anti-tan agent, making them incredible ingredients for getting rid of a suntan. 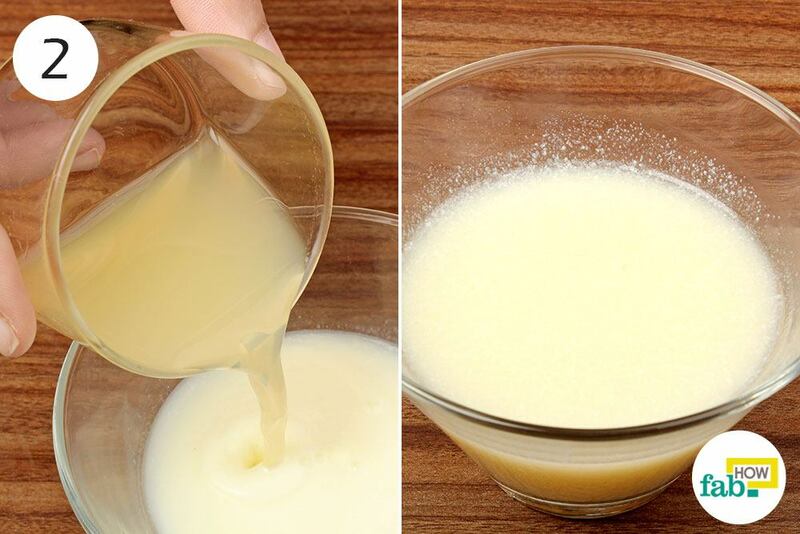 Pour 1 cup of milk into a bowl. 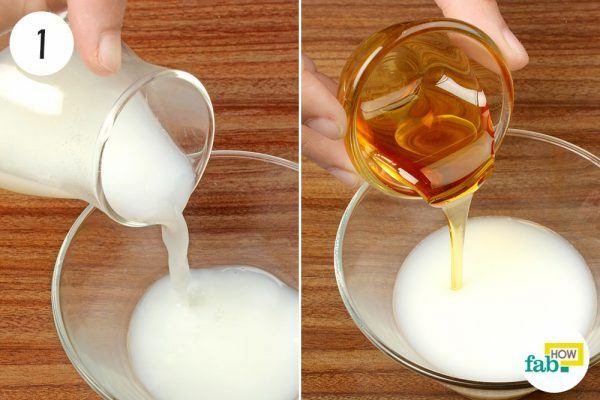 Add 1 tablespoon of honey to the milk. Add 1 tablespoon of lemon juice and mix it well. Allow it to dry for 15 to 20 minutes, then rinse it off using lukewarm water. Do this daily for effective results. Always apply a sunscreen on your skin before going out in the sun. Make sure your sun protection cream is water resistant, so it works even if you sweat or swim. Using coconut oil for bronze tanning is a safe and natural way of getting that good and shinier tan for your skin. Wear hats or caps to protect your face and shade your eyes. Wear gloves and socks to prevent your skin from exposure to direct sunlight. Wear sunglasses to minimize damage to your eyes. Avoid direct sunlight and stay in the shade as much as possible. Share This Infographic On Your Site! Never have I ever been more confused.. removing a tan will not reduce your risk for skin cancer.. so if being “pearly white” is the only reason someone would do this, as to not be mistaken for a race of darker color, then I am disgusted.. please explain to me WHY someone would need to whiten their skin, except to appear more perfect by white standards. Well I appreciate your advice and I will try one of those. I am not that dark due to sun tan but I feel uncomfortable especially in my elbow and knees. Thats my only problem. So by this I’ll try one. Thank you! thank you for your comment. 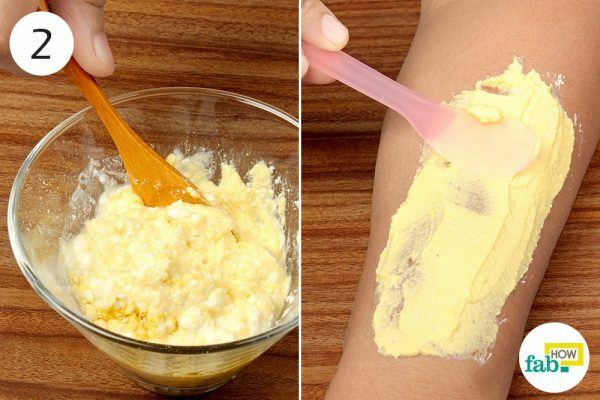 We have just the right solution for your problem, visit https://www.fabhow.com/get-rid-of-dark-elbows.html, to know how to get rid of dark elbows. Do let us know how it worked out for you. Not a Makeup Lover? It’s a Woman’s Personal Decision, Not a Requirement!